We provide over 12,000+ square feet of space for friends, families, neighbors, and pets (on leashes) to shop, gather, and eat in a safe environment. We have a number of seating spaces on site and a small children's play area. We also provide space for vendors and food trucks, along with having a stage area and back wall space perfect for movie nights. We offer six market stalls for vendors to sell products. We provide vendors with one 4ft or 6ft table and one chair under a covered canopy. If you are interested in vending at a SPARC-it-Place event, please complete the VEND OR RENT form. We have three food truck and/or cart spaces available. 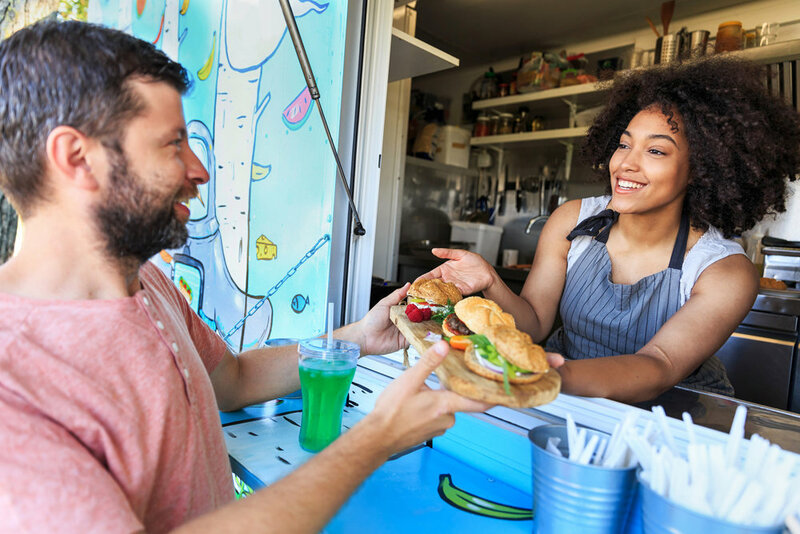 We provide day use and short-term leases for food trucks to vend on site at the SPARC-it-Place. If you are interested in vending at a SPARC-it-Place event, please complete the VEND OR RENT form. Note- You must be compliant with the City of Oakland's food truck permitting policies. Large and small stage space available for small or large bands, music festivals, spoken word, movie nights, etc. If you are interested in renting at a SPARC-it-Place event, please complete the RVEND OR RENT form.